Zynga CEO Don Mattrick says the company has been working with "a sense of urgency," after a sharp drop in the number of active users of its games. The ax is falling once again at Zynga. The social game developer announced Thursday that it was laying off 314 employees, or 15% of its workforce, the latest in a series of job cuts at the company. 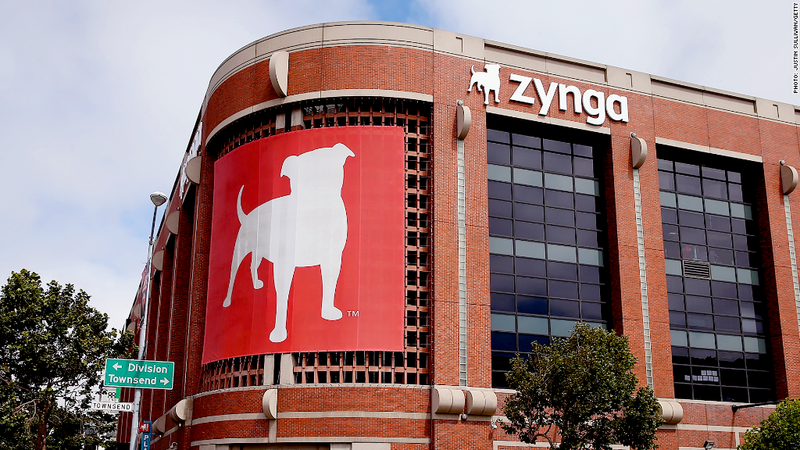 Combined with additional cost reduction measures, Zynga (ZNGA) said the move would save it roughly $18 million this year. Zynga is responsible for popular game franchises like FarmVille, Words With Friends and Zynga Poker. But the company faces a difficult road ahead as it attempts to replicate its early successes. Zynga said its daily active users plunged more than 50% in the fourth quarter to 27 million, down from 56 million a year prior. The firm lost $20.8 million in the fourth quarter, after earning $6.9 million same period of 2012. Zynga announced multiple rounds of layoffs last year, and co-founder Mark Pincus stepped down as CEO in July. "Over the last 7 months, our teams have been working with a sense of urgency," current CEO Don Mattrick said in a statement. "We finished 2013 in a strong position and expect 2014 to be a growth year." Zynga also announced a $527 million deal Thursday to buy privately-held NaturalMotion, which makes popular mobile games CSR Racing and Clumsy Ninja. "NaturalMotion possesses industry leading technology and tools ... (that) have powered some of the biggest console games and blockbuster movies," Zynga said.